The Graduate Program in Museum Studies at Syracuse University prepares individuals to enter the museum profession through a course of study leading to the Master of Arts degree. The curriculum is grounded in research, scholarship, design, and actual practice. At the center of the program is the belief that the museum professional serves as the liaison between the viewing public and the museum object. The SUArt Galleries and Syracuse University Art Collection have a long and proud relationship with the Graduate Program in Museum Studies. For years students in the program have interned, volunteered, or worked as graduate assistants performing important functions for our organization. They assist with the development, installation, and programming that accompany all of the exhibitions we present, as well as contributing to behind the scenes activities that are a daily routine at our galleries. Website construction and maintenance, collection information organization and retrieval systems, inventories, and photo documentation are just a few of the undertakings that these students are engaged in during their study at Syracuse. Periodically, a Museum Studies class will develop an exhibition as partial fulfillment of their graduate degree work. 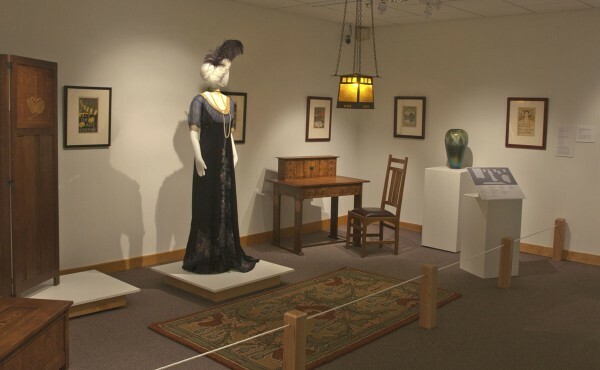 Exhibitions such as Engineered Perspectives: Railroad Culture in the Modern World or Nouveau Risqué: A Perspective on Women and Progress showcase the talents of these students as future museum professionals. To learn more about the Graduate Program in Museum Studies, click here.